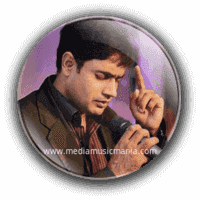 Abrar ul Haq Pakistani Pop Music Singer. He was born on 21 July 1968 at Narowal Punjab. He is most popular Pakistani Pop Music Singer, Punjab Folk Music and Punjab Lok Music Artist. He is great singer and he sung in different languages such as Punjabi, Saraiki and Urdu. He was geography teacher at the Aitchison College in Lahore. He is Chairman of Youth Parliament of Pakistan. He created good name in Punjab Folk Music. He received his initial education from Rawalpindi and Gujrat. He took Bachelors degree from Sir Syed College Rawalpindi. After that he got Masters Degree from Quaid-e-Azam University Islamabad in Social Sciences. Abrar-ul-haq also founded a charitable organization "Sahara" which is an abbreviation of Services Aimed at Health and Awakening in Remote Areas. Its aim is to promote health and education in remote areas. Abrar-ul-haq also founded a hospital named "Sugra Shafi Medical Complex" in Narowal Punjab. He is master of Pakistani Pop Songs. He is very popular and well known Pakistani Pop Music Singer, and he has sung Punjabi Bhangra Songs. His famous first Album of "Billo De Ghar" and he earned lot of fame. His second Album "Majajni" in 1997, and third Album "Beh Ja Cycle Te" was released in 1999. He is very popular Pakistani Classical Music Singer in Youth and he is Chairman of Youth Parliament of Pakistan. I have selected below most popular Pop Music songs of Abrar ul Haq.